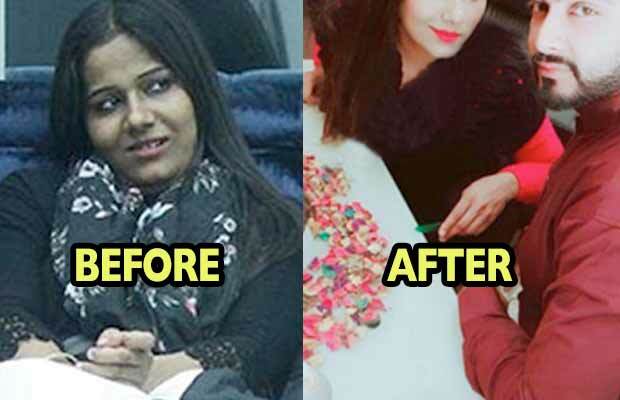 Home Editors Picks Bigg Boss 11: Here’s The SHOCKING Transformation Of Ex-Contestant Mehjabi Siddiqui! Bigg Boss 11 has become massively popular amongst the audience. Mehjabi Siddiqui was a contestant of the controversial TV reality show Bigg Boss 11! Probably the most controversial TV reality show of the country, Bigg Boss 11 has become massively popular amongst the audience. The show is in the twelfth week and people are loving it. With perfect doses of fights, arguments, romance and controversies, Salman Khan’s show has become a hit. The show has helped a lot to many people in gaining name and fame. And Mehjabi Siddiqui is one of those people. The commoner entered the show as a padosi along with Luv Tyagi, Sabyasachi Satpathy and Lucinda Nicholas. Later she joined everyone else in the main BB house. Unfortunately, she got evicted in the sixth week along with Sabyasachi. Talking about Bigg Boss 11, this week for the luxury budget task, the house has been converted into a poultry farm. A hen, after certain intervals of time, lays golden eggs which has a contestant’s image on it. For succeeding in the task, the house members need to throw at least four eggs into the pool. Also, whoever’s egg is thrown, loses the contendership for this week’s captaincy task. Meanwhile, this week only Hina Khan is safe from eviction. The rest of the seven contestants are nominated to leave the house this week. It happened as a punishment given by Bigg Boss to these contestants for discussing nominations.